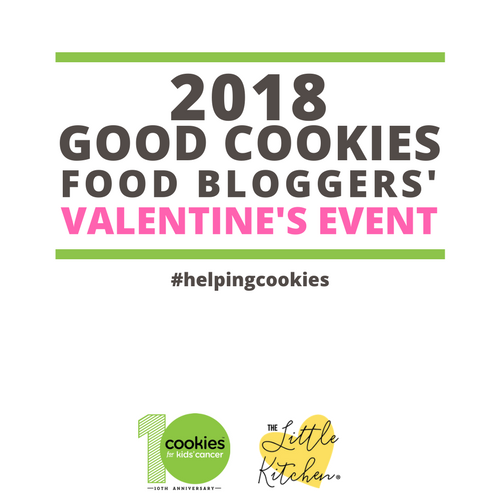 One of my favorite charities is Cookies for Kids’ Cancer and my friend Julie from The Little Kitchen launched Good Cookies Food Bloggers’ Valentine’s Event last year for all of us food bloggers to get together to make a difference in the fight against pediatric cancer. 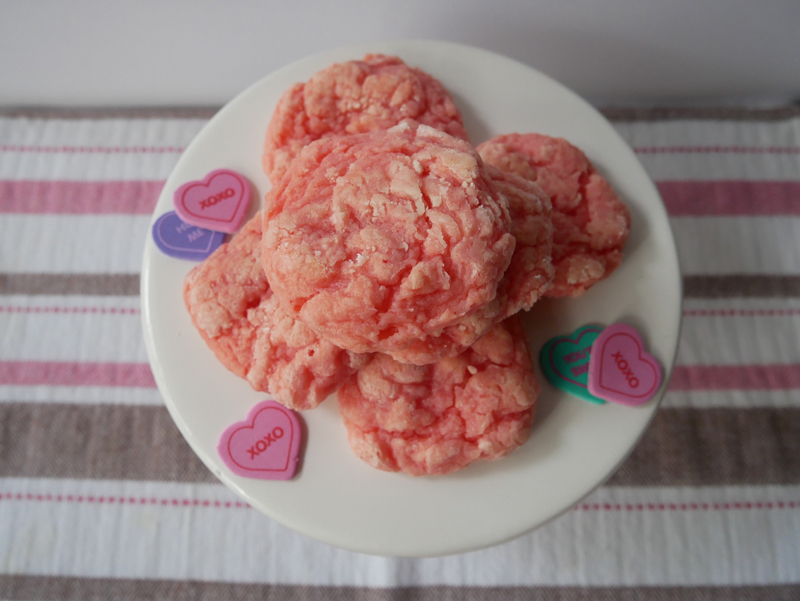 This is the second year of the Valentine’s event and our goal is to raise at least $3000 and this recipe for Strawberry and Cream Cookies is what I created to bring some sweetness to you and hope you will help us raise money for a great cause. 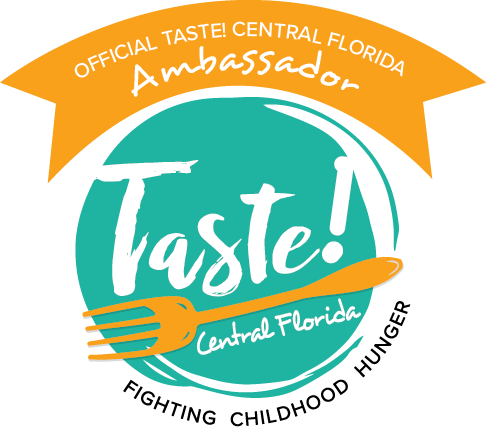 Help us make a difference by donating to Cookies for Kids’ Cancer! A huge thank you to these three companies: Dixie Crystals, Mediavine and OXO they have each pledged to match our donations raised through this campaign up to $3000! Thanks to many of you, we have reached our goal. 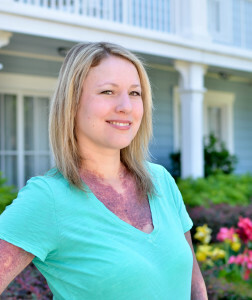 You can still donate and help us make an even bigger difference! Donate here and then bake up a batch of these pretty pink cuties! 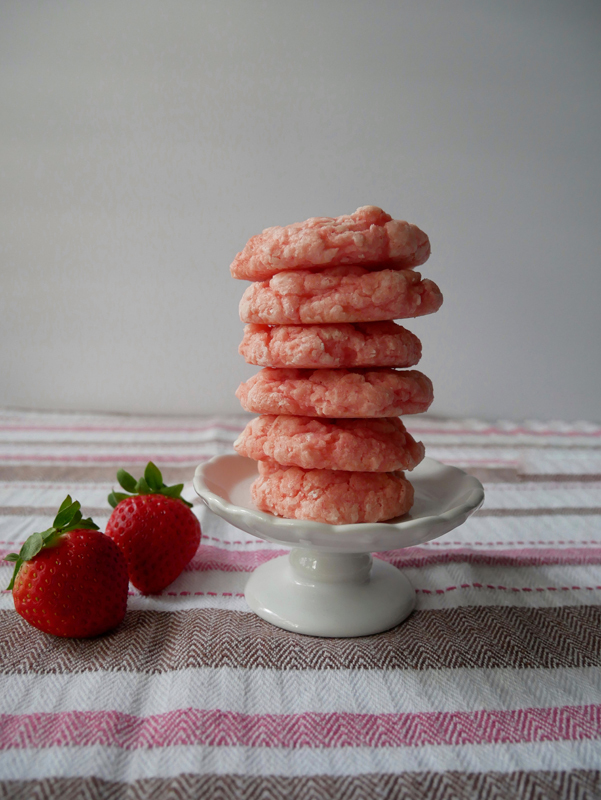 These Strawberry and Cream Cookies are a cinch to make and their pretty, pink hue is a charmer to look at too. 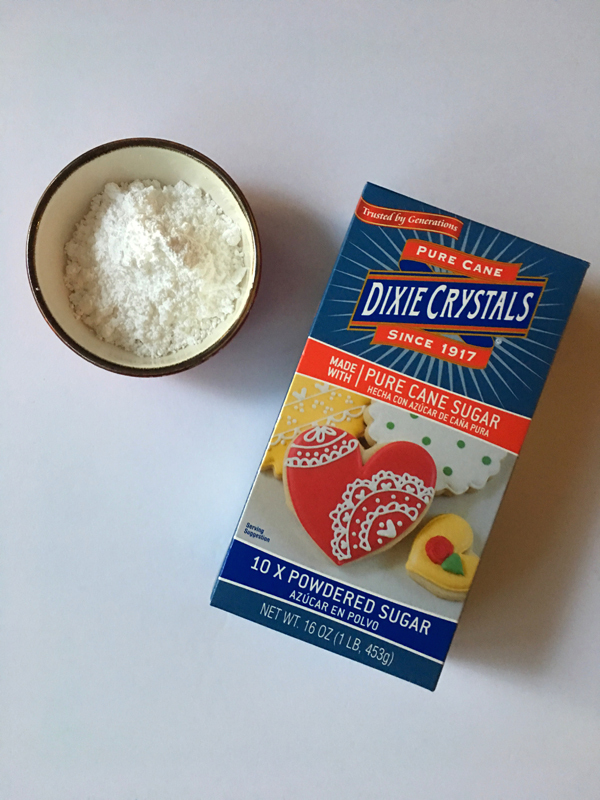 These cookies are the perfect Valentine treat or a fun dessert to bring to your next gathering. You can easily add chocolate chips, nuts or sprinkles to change it up. If you make these Strawberry and Cream Cookies and want to share them on twitter &/or instagram please tag me @acupofcharming. I would love to see them! In the mixer cream butter and cream cheese together until combined. Add in the egg until smooth. Slowly add in the cake mix. The mixture is going to thicken into a dough. Pour powdered sugar in a bowl. 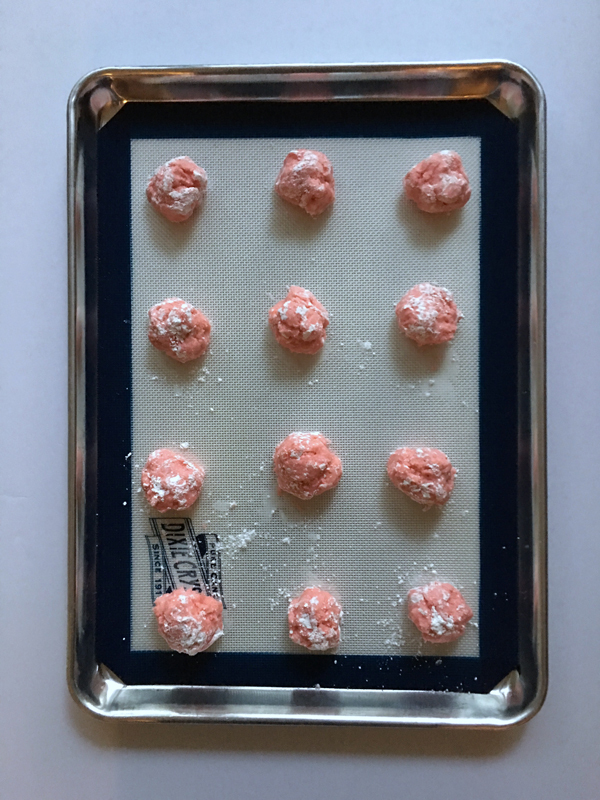 Roll dough into 1 in balls and gently roll into the powdered sugar. Place on baking sheet and bake in the oven for 10 minutes until the center of the cookies are set. 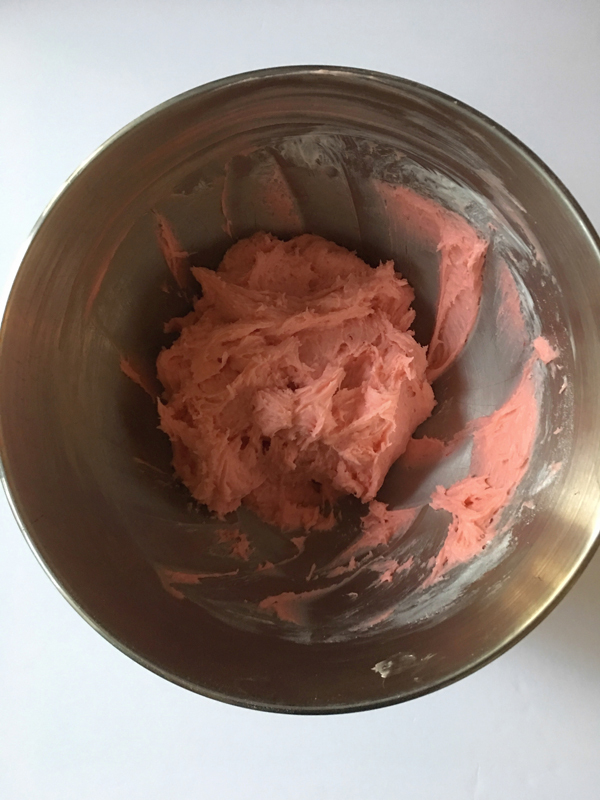 Don't let the cookies brown since it will alter the pink hue of the cookies. 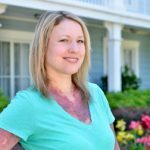 Check out the other recipes from bloggers who participated this year! Disclosure: All proceeds involving this campaign have been sent directly to the charity: Cookies for Kids’ Cancer.